Paints, Coatings, Inks, Primers, Decorative Coatings, Coil Coatings, General Industrial Coatings, Plastics, Rubbers, Enamels, Glass, Papers, Clothes, Leathers, Watercolors, Etc. 1. 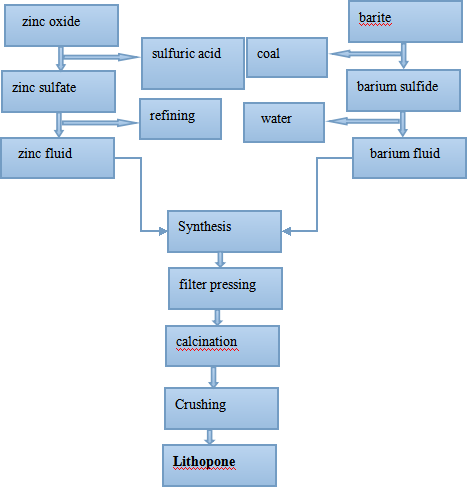 Characteristic requirements for lithopone in coatings and paints . High whitness, easy to spread, strong hiding power, good fluidity and longer storage capacity. Good particle size distribution, good dispersibility, alkali resistance, good stability. Good chemical stability, good dispersion, low oil absorption, reducing the amount of pigment. Heat resistance, alkali resistance, good liquidity and covering power. Increasing covering force, increasing the film thickness, surface smoothness. Liangjiang brand- lithopone, widely used in coatings, plays a very important role in improving the coating thickness, surface smoothness, heat resistance, alkali resistance, good dispersion, good chemical stability. Because of its low oil absorption, a high degree of filling makes it a good smoothing agent, and strengthen the flow of flat, so make the coating cost reduction, can be used in waterborne coatings, primer and intermediate coating, oil paint, etc. Use it instead of 15% ~ 30% of titanium dioxide in water paint,as a result, the white degree increase, covering power did not go down . (1) Good chemical stability, Liangjiang brand- lithopone,with a strong solvent resistance, good heat resistance and so on. 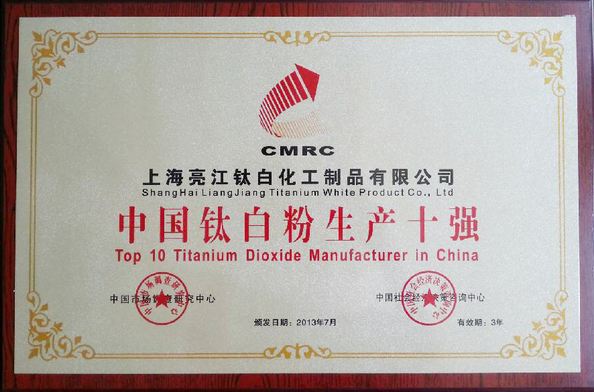 Good chemical stability in low temperature and high temperature environment. It will not happen with any additives in the masterbatch system of chemistry. (2) Good temperature resistance, Because of the masterbatch in the manufacturing process and plastic molding process is under the environment of high temperature, lithopone should not change color in high temperature . Liangjiang brand- lithopone B311, C201, C202, C303 have coated on the original process, greatly improves the heat resistance and light resistance. (3) Small Mobility, Due to the temperature of the plastic forming process ,there is a big change, room temperature (raw material), high temperature (processing), room temperature (cooling). Liangjiang brand lithopone in high temperature or low temperature can not migrate, adding liangjiang brand lithopone into plastic products ,the surface colour is well-distributed. Finish paints: Liangjiang brand lithopone, better than the most other fillers, especially using in the chemical resistance coatings. The inertia ,organic coated.,excellent gloss and fidelity of the particles can protect the paints from the long-term exposure, also increase the surface hardness and color stability. Woods and paints: Liangjiang brand lithopone, with chemical resistance, weather resistance, low coherence, optical characteristics of low dispersion and fine particles, especially suitable for paint paint, varnish, paint, etc. Paints and high build coatings: Liangjiang brand lithopone,the high filling can be applied to all painting series, for example, primer, high build coating and other types, as its low specific surface area and the division of particle size and easy mobility, lithopone in the machining process has low wear resistance and heat resistance. We recommend Lithopone used for automatical primer surface, also keep a good uniformity and smoothness ,even the high fillings. Printing inks: Liangjiang brand lithopone, with low wear resistance, high gloss and color stability, low coherence, combined with its easy liquidity makes lithopone suitable for printing inks with high quality. 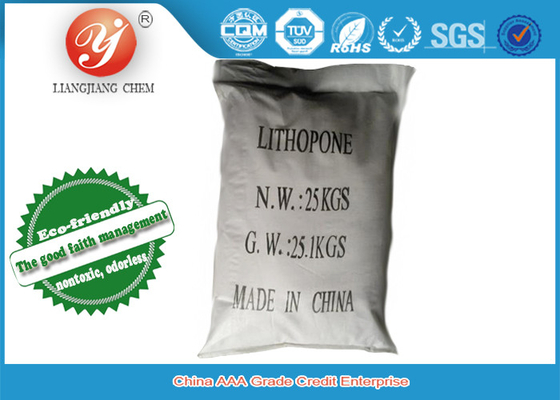 Liangjiang brand, lithopone B311, adops pure physical and chemical processing method for process selection of barium sulfate), a mixture of zinc sulfide and barium sulfate, so they are also called Charlton white. The appearance is white powder, non-toxic, low oil absorption, alkali resistance, good chemical stability, heat resistance and the good abrasion resistance. During the white pigments, the hiding power next to titanium dioxide, not including other mechanical impurities. It is the most superior product quality performance as the similar products at current. So widely used in paints, coatings, inks, primers, decorative coatings, coil coatings, general industrial coatings, plastics, rubbers, enamels, glasses, papers, clothes, leathers, water colors, also used in polyolefin, vinyl resin, ABS resin, polystyrene, polycarbonate, nylon and formaldehyde, and other fields. Small particle size, it can improve all kinds of mechanical properties of the products. Low oil absorption, the good fluidity. 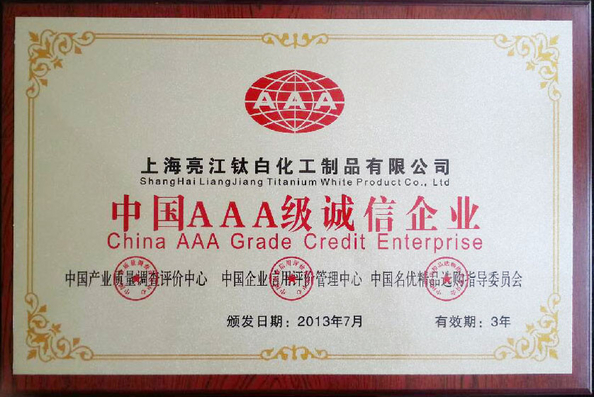 High Whiteness, neutra colour, it can keep stability of the palette for a long time,and reduce the dosage of pigments. Less impurities, no harmful substances, it can guarantee the safety of products and the surface clean. Widely used in paints, coatings, inks, primers, decorative coatings, coil coatings, general industrial coatings, plastics, rubbers, enamels, glasses, papers, clothes, leathers, water colors, also used in polyolefin, vinyl resin, ABS resin, polystyrene, polycarbonate, nylon and formaldehyde, and other fields. Package: 25 kg/P.P woven bag and 500kg and 1000kg ton bag, also can packed according to requirements. 2. Liangjiang brand- lithopone, there are six kinds of type No. according to different of surface treatment and zinc sulfide content, as B301,B302,B311,C201,C202 and C303. Liangjiang brand- lithopone, we strictly control operating conditions in the process of production to guarantee the product quality. Our lithopone, with strong covering powders. During the white pigments, the covering powders, a little,second only to titanium dioxide, higher than zinc white,lead white and antimony white. low oil absorption, alkali resistance and good chemical stability, stable for a variety of gas;White color, but cheaper, non-toxic, Mouldproof and kill alga; Good heat resistance and wearability.